The Orangery is now closed for refurbishment and we have relocated to the Pavilion just in front of the Orangery, surrounded by beautiful formal gardens in the grounds of Kensington Palace The Pavilion, a relaxed and elegant setting for breakfast or lunch and the only royal palace in London where you can enjoy a traditional afternoon tea. We have a birds eye view of the Sunken Garden and the wiggly walk, which you can enjoy from our covered terrace. 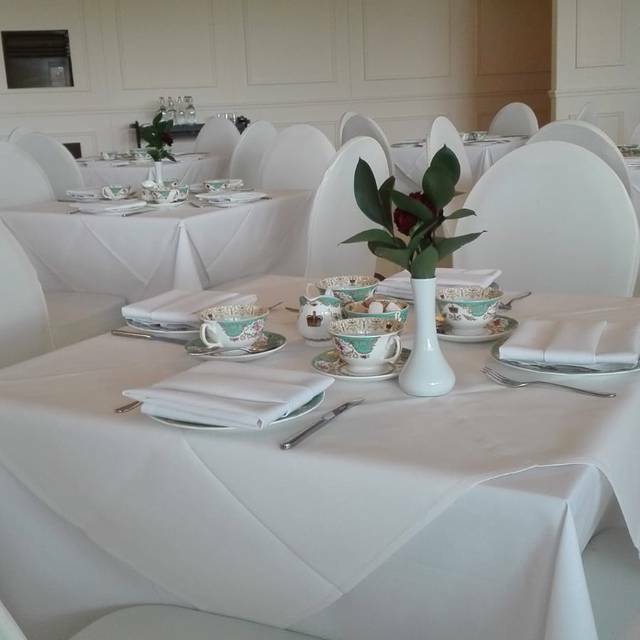 We were absolutely pleased with every minute of our afternoon tea at the Pavilion! Our server was attentive and personable, the food impeccably scrumptious, and the the overall atmosphere sweet and lovely, without being stuffy. Extremely pleasant venue with comfortable seating. The food was delicious with a good selection available from the menu. Our waitress was delightful and very efficient. A trip to London cannot be complete without high tea!! Where else should one experience it but at Kensington!!! 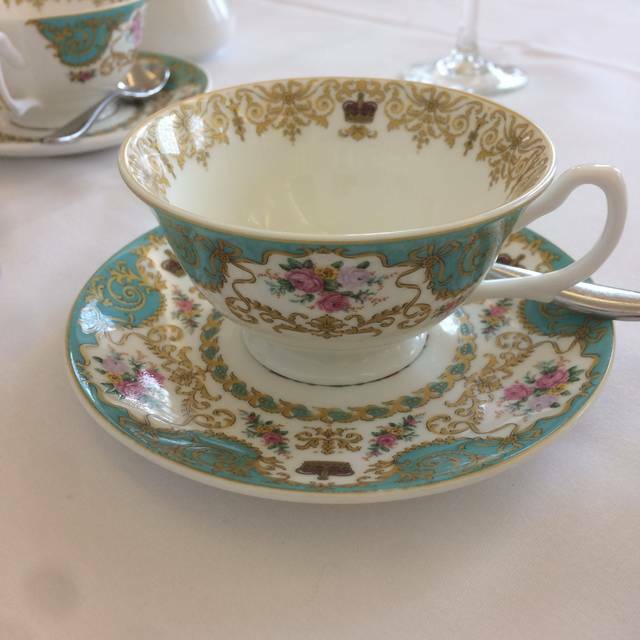 I brought a friend here for a birthday treat and we had a lovely time - the afternoon tea was delicious (especially the scones), the china elegant, service friendly and efficient, the ambience lovely. I would have given 5 stars except for 2 small niggles: first, it was too hot even though we asked to be moved from a window table in the sun; secondly, I expected bottomless tea and coffee at this price, as is often the case at other venues, but after my tea I asked for a coffee and was charged extra. 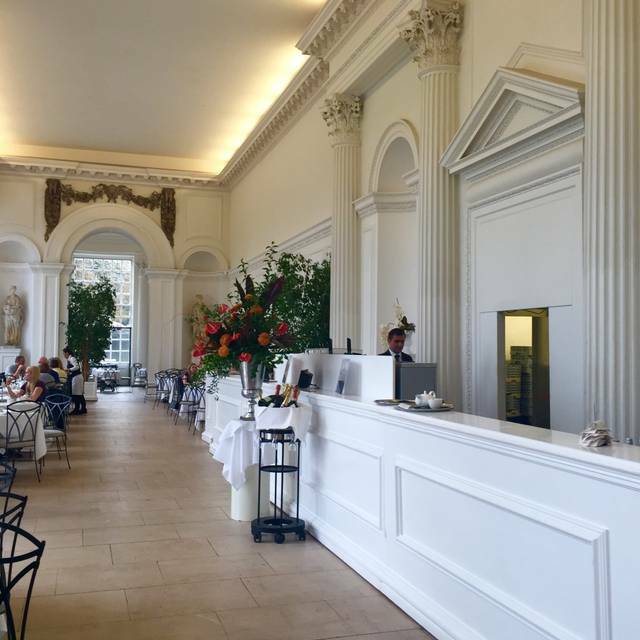 But we will definitely be back when the Orangery reopens! The only reason I would recommend this place is because of location to Kensington Place and the Sunken Garden which was so beautiful. Otherwise, our "dining" experience was truly a disappointment on many levels. We reserved a table for high tea and requested a birthday celebration for our daughter (as we noted on their website they offer this special acknowledgement) I emailed directly to the Pavilion but they never responded to me, once I got the Open Table confirmation email I ensured again that this was a special birthday celebration and surprise. When we arrived the host did, in fact, say to us "I understand someone in the party is celebrating a birthday?" which I was very pleased to hear and assumed that it would carried out. We were wrong, our server was very slow, inattentive and basically ignored our table and we sat for more than 40 mins with finished tea and food in front of us. We kept waiting for the special birthday "surprise" to arrive but it never did and we finally flagged down the waitress and she nodded and said she'd be right over. 10 minutes later she came to the table with the check and card swiper. This really spoiled the whole reason we came here and I did not want to call it out to her because, frankly the surprise and celebratory "moment" had passed. When we left I went to the hostess and told her that the waitress never acknowledge a birthday and she confirmed she did pass it along. She asked if we wanted to sit back down and have it carried out but again it was too late. After, we went to the Sunken Garden and what a beautiful place this was, but you can visit this without dining at the Pavilion. 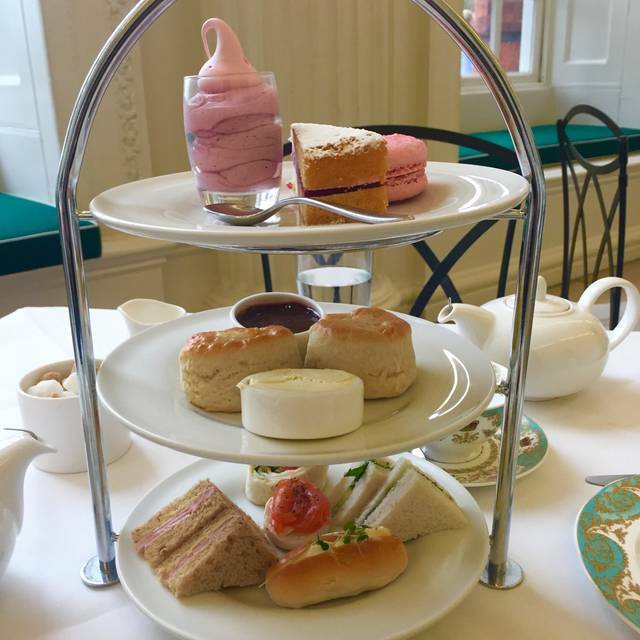 The tea was good and food was ok but since this was my first high tea I do not have anything to measure it against so I don't feel it would be fair to rate the Pavilion in this category. Overall, communication directly with Pavilion was very, poor, service was very poor, therefore, not good value in my opinion. Such a nice almost Royal feeling experience. Fully worth it’s price. So beautiful envoiroment, and Garden. Such relaxed ambience, good food and service. A very peaceful setting amongst the hustle and bustle. Beautiful views over the gardens. Quick and efficient service. It was my friend’s birthday and I appreciate very much the gesture of a small birthday sweet. Eine wunderschöne Erfahrung. Wir hatten 3x den Afternoon Tea, sehr schön serviert, sehr schönes Ambiente. Ich werde wieder kommen. We (2 couples) went for afternoon tea, which ended up being much more expensive than other restaurants we visited. Both wives ordered the afternoon tea and the husbands ordered a meal. 1 tea set up and 1 meal were brought out 25 minutes prior to the other tea set up & meal, with very little explanation or concern by the staff. The finger sandwiches were tasteless and the salmon was very fishy. 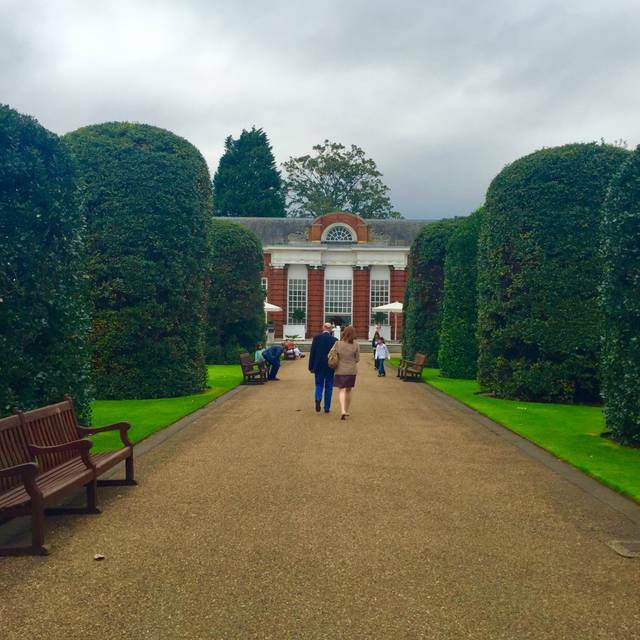 The grounds of Kensington Palace were beautiful, but save your money on having tea here. 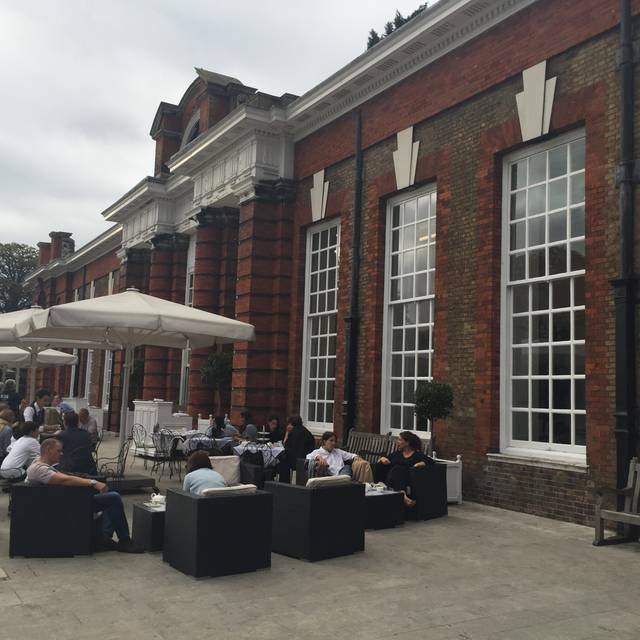 It was our second experience of an Afternoon Tea at the Pavilion at Kensington Palace. You can imagine that we appreciated the 1st time and appreciated again the 2nd time ! I think that when we come back to London, we will go another time to the Pavilion ! We come from Paris in France ! We took our girls to tea at the Pavilion and it was nice. We all enjoyed ourselves. They were very flexible when it came to substituting sandwiches. Nice surroundings near the palace and the service was great. Unfortunately the floor wasn’t steady built so it felt you were out on a boat, the glasses almost fell over where we sat. Great with gluten free options, the scones was delicious but the sandwiches pretty dry. Or very dry. Brilliant really. People who came in after us got their order first - or rather out order so we waited twice as long. But to be fair, e moved tables and they sat where we were. I was visiting from Australia and The Pavilion was recommended by an English friend. The service was great, food delicious. The experience for us was something we have told our friends back in Australia. For us ,just a bit expensive with our dollar rate compared to the pound, but something you do just once. Our English friends did come with us and we had a very enjoyable day. Un budget mais à faire au moins une fois . Excellent english afternoon tea ! We were not told the orangery was closed and tea would be in a marquee. It was not luxurious in here! Only 4 fingers of sandwiches with very thin filling and you cannot buy any extra. One small pot of tea included we had to pay for any more tea. Very poor when judged against 5 star London hotels for the same money where at least more tea is included!! Delicious treats in a really special location. I’d highly recommend the pavilion for afternoon tea with English sparkling wine! We really enjoyed our time here at Kensington Palace. The food and service was wonderful. My granddaughter especially enjoyed having her own separate tiered tray made her feel special. The doors did not opened/closed automatically, visitors did not closed the doors, so that it was sometimes a little bit cold. We were satisfied with the quality of the food and the service. Felt very makeshift and basic, understandably it is the tempary building at the moment, bit feels substandard compared to normal. Sandwiches felt basic quality. Scones not traditional but very good. Service was good with pleasant team but certain aspects lacking eg spoons. The garden and location were beautiful. We were dissapointed that the orangerie was in renovation. When we booked we could not find that information. Price ranking was much to high for the accomodation. We paid 100 pounds for two high tea with two sparkling wine. A lovely venue for afternoon tea, there could have been more sandwiches, but a great day. Service was horrible. Couldn’t understand the server. Was really looking forward to the experience and was willing to pay more for it. It was a big disappointment. Amazing time! Loved the food, service, and the opportunity to have tea at Kensington! I took my mum for Mothering Sunday and she had a lovely time. The staff were very welcoming and friendly. We had a afternoon tea and the food was very good, we especially enjoyed the warm orange flavoured scones with strawberry jam. I was at first a bit thrown by the change of venue, being that the restaurant is no longer in the actual Orangery, however having said this, it did not stop us having a really lovely day. Thank you. 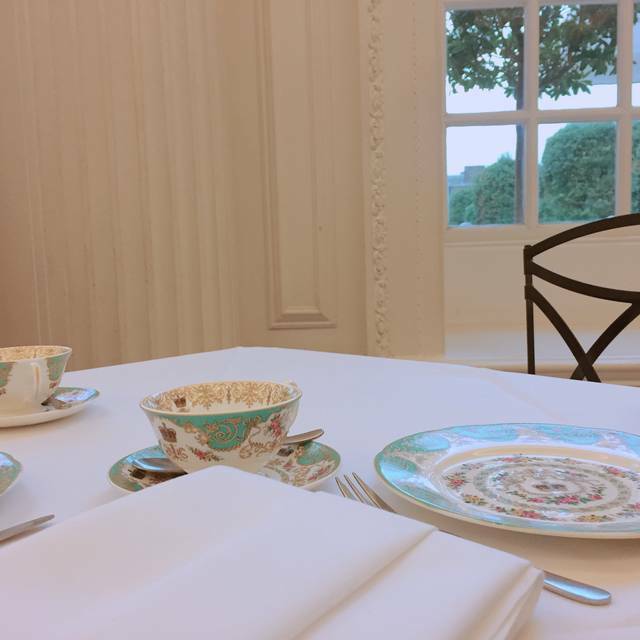 This was a wonderful afternoon tea at a beautiful palace. Enjoyed an Afternoon Tea at the Pavilion with family from out of town and thoroughly enjoyed it. We made reservations for 10am and it was quiet with friendly service. The food was delicious. Will definitely be visiting again for another meal! Nice atmosphere and calm and quite. Good food and nothing to complain about. Great food and experience for “high tea.” The ambiance was quaint and “British.” My only complaint is that it was a bit warm inside but that may be due to the building’s construction. I would take my family there again. Afternoon tea today for my mum and aunt down from Dundee. They were bowled over with the service, quality of sandwiches and cakes and as royalists felt they were treated like kate. They’d taken an advisory note on my mum and aunts dietary preferences (no pesto) and that wasn’t a problem. I didn’t feel this was expensive and thank the staff kitchen and floor that is for making their visit so special. mum commented tea was flowing and neither felt rushed. Loved the surroundings too. The new premises that were built while the original building is renovated isn't any near to the hystorical place. However the prices has increased regardless. The waitress was polite but with no good English and automatically brought two tea set (Cake holder and tea pot at £30 each). I have ordered only one but they did not checked and brought cakes and scones in one holder but apparently I was told was the double amount so I end up paying double while I only intended to try one item. Overall overpriced value and overrated. Service was pretty bad. My eleven year old child got an entire glass of champagne spilt on him, which would have been fine if they had done something about it, which they didn’t, which I think isn’t cool. Not to mention it was a palace, not a restaurant, which makes it worse.Food was good. Not much to say about it. The Ambiance was alright. Overall, It was underwhelming. Expected more. Overall, tea at the Pavilion was disappointing and overpriced. The staff were quite rude and the food served with the tea were subpar at best. I feel this is a very “touristy” place to have tea and that is exactly what you pay for. The Pavilion is essentially a tent with a makeshift floor. 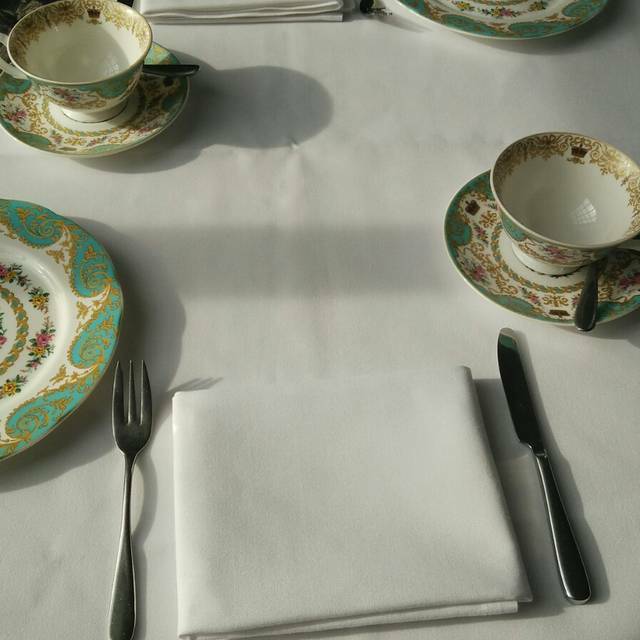 You would be much better served to attend a more authentic tea experience at the Ritz. Lovely location with nice views of the gardens. Afternoon tea was good but nothing extraordinary. Great value for what you got. They did forget several items on our platters when it was initially brought out though. The place was amazing and the food marvellous. 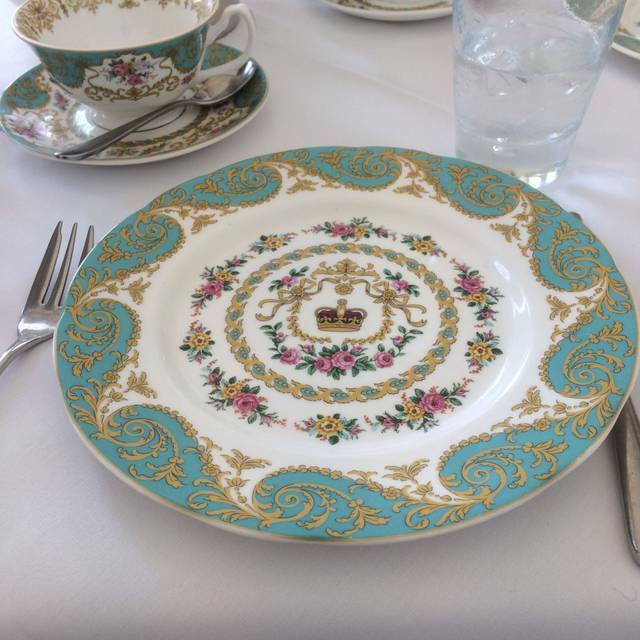 Our Tea at the Pavilion at Kensington Palace was as fabulous as it was delicious. I chose this place because they offered a gluten-free tea, meaning, they had a wide variety of finger sandwiches, scones, and cakes that were all gluten-free; it was amazing!!! As a gluten-free diner, you get used to going without, but here, I didn't miss out on any of the fun. It was brilliant!! I had the same selection of treats everyone else had. It made me so happy!! The service was lovely, and the dishes and table linens were SO elegant. It was like going back in time. If I ever get back to London, I will absolutely return here for tea! !